Funded studies will be levied a nominal fee to partially cover the costs associated with the retrieval of data. 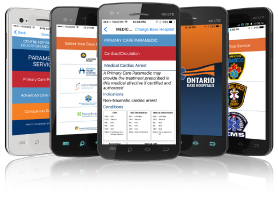 *Documents include: ACR (Ambulance Call Report), PCR (Paramedic Call Report), Patch Form, ECG report, ECG strip. Additional charges may apply depending on the time required to access and transfer prehospital data. Exceptions to the cost recovery fee structure can be made at the discretion of the Program Director for non-funded studies. An estimate of the cost to fill the research data request will be sent to the researcher. Please provide billing information and address to research@rppeo.ca. Invoiced will be sent quarterly and payment is requested 30 days from the date of invoice.